Ally's Shrimp Cascade was reputedly originally tied as a joke, however, it has since proved to be a modern classic pattern that fishes well in all conditions where Salmon run. It can be fished with confidence throughout the season and is particularly effective when the water temperature starts to rise from the ice cold of early spring. 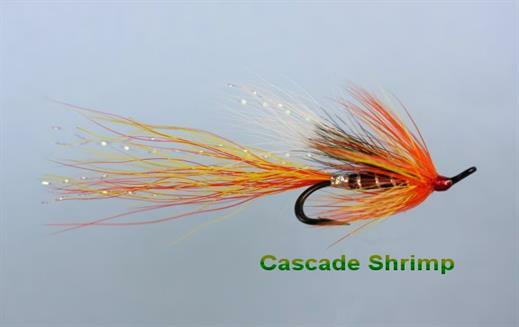 Currently there are no comments about the Ally's Shrimp Cascade fly pattern from other fly fishermen yet.